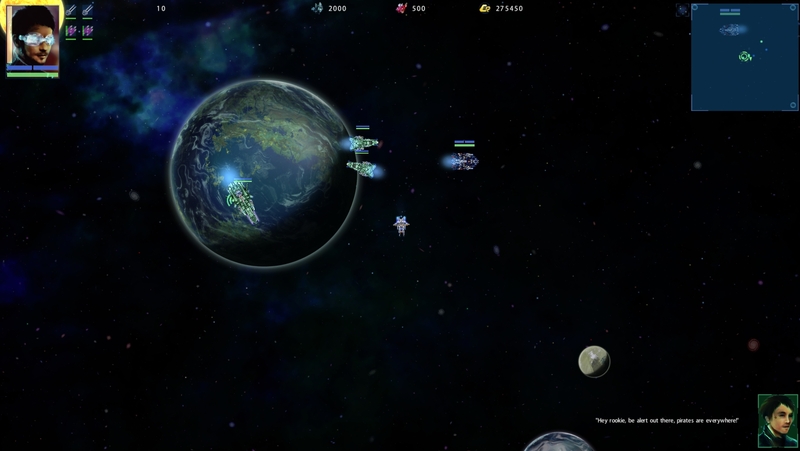 In building Star Nomad II, my main goal was to create a universe that feels alive & dynamic. 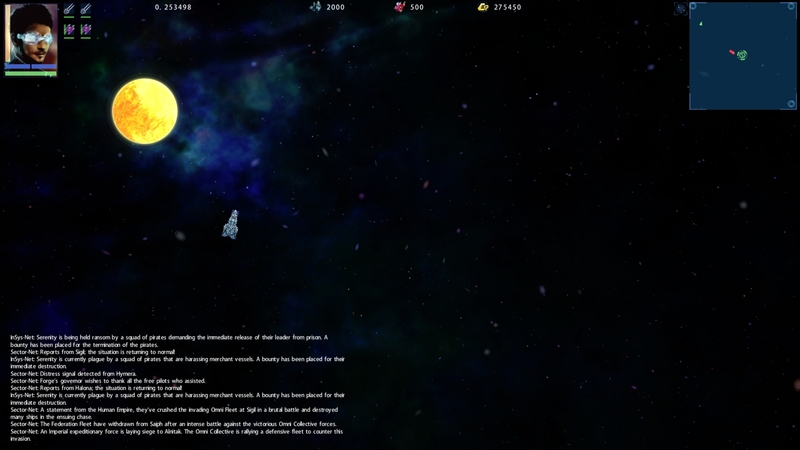 One of the important mechanism is the communication system of Star Nomad whereby random NPC chatter as you approach them, this served as an immersion factor as well as providing gameplay tips and a passive form of story telling. This will be greatly enhanced in SNII! 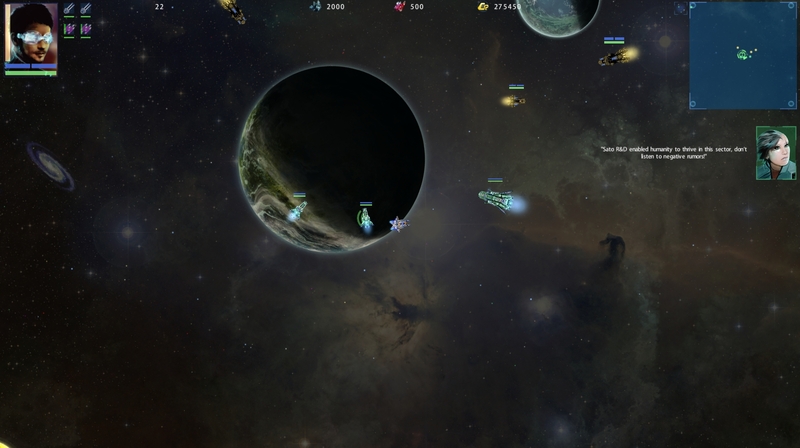 Pilots are a talkative bunch, due to how lonesome space travel can be..
Free Union militias are ultimate badasses! It’s true, they say so themselves! 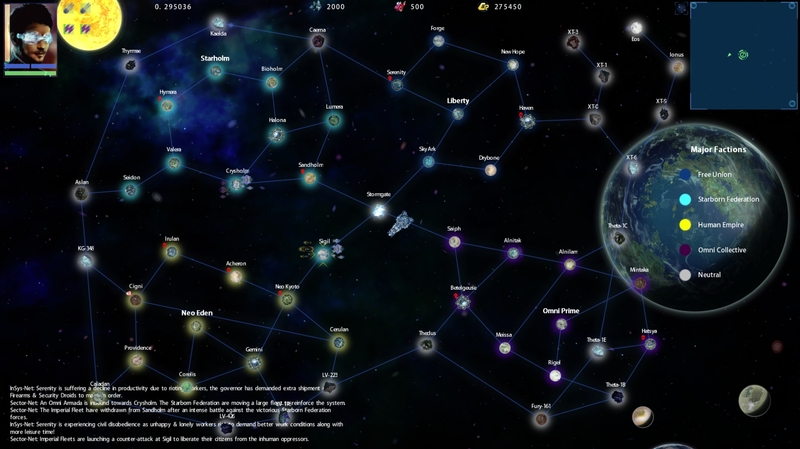 What they have to say to you will take into account the current situation (whether they are in combat, who they are fighting, chasing smugglers etc), your faction standing, global events, your fame/reputation, whether you participated in solving recent crises. All of these serve as a feedback mechanism, that your actions or inaction are noted. It’s a form of “news reporting” but also, often, just a way to bring forth some lore & quirky humor. As you travel, dynamic traffic of ships come and go, to trade, patrol, & doing battles all add to the atmosphere. 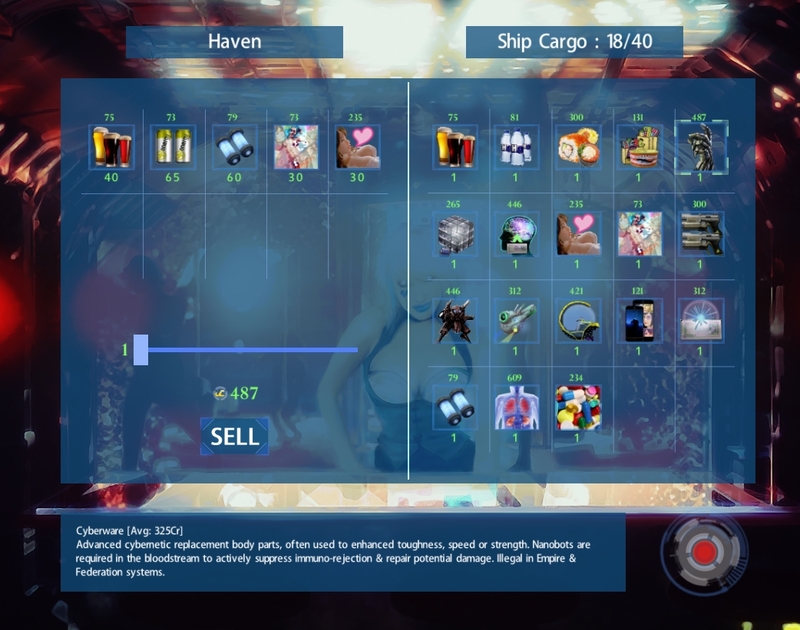 In SNII, there will be more underlying depth to this mechanic, for example, merchant vessels that come and go affect the systems that they ply their trades in. Patrol reinforcements depend on the current faction strength. etc. A merchant vessel that docks with a world or port affects its wealth, increasing its productivity resulting in more goods on sale (or better prices). If you plunder the merchant vessels, you also indirectly reduce the wealth of that particular system (why system wealth is important, will be discussed below). Another major form of dynamism is via the Global Events system. 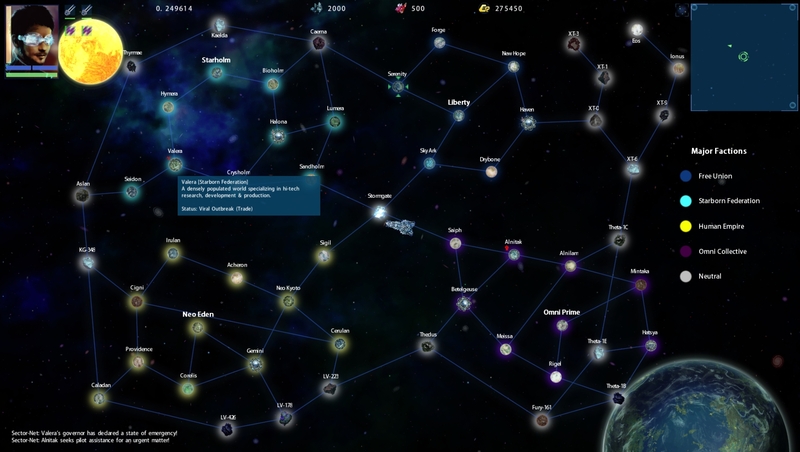 Every turn (real-time X minutes of spaceflight), each faction system have a random chance of being inflicted with a negative status, such as: Pirate Bounties (squad or fleet of Pirates blockading trade), Viral Outbreaks, Pandemics, Civil Unrest, Food Shortages etc. These events affect the system’s wealth & productivity resulting in a shift in tradegood prices that they sell or buy. Thus, the player can consider this as an opportunity to make credits (Bounty Hunting or Trading) along with helping a faction to gain reputation/standing (at a cost of being hated by the opposing faction! 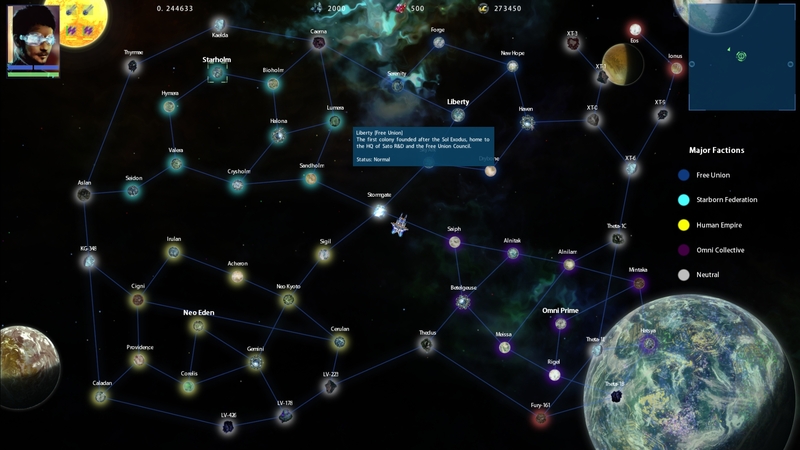 ), with better access to ships & modules as you become allies with a faction. If you hunt the pirate bounties, you lift the blockade and restore productivity of that system, likewise for solving other crises. Random Global Events are an opportunity to make credits & help a faction. A small red icon denotes the system status. The in-flight communications will keep you up-to-date with the current events! How does this relate to the overall universe? 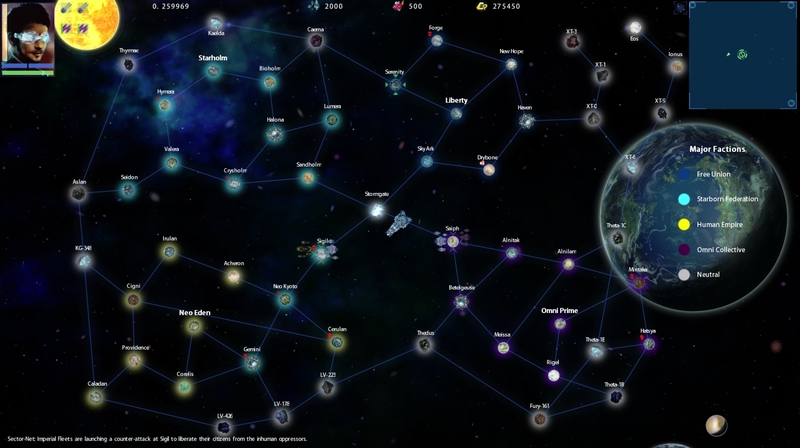 The Conquest AI is based around each system that a faction owns, at each turn, the systems contribute resources for that faction to spend on creation of fleets. Thus, the wealth status of a system affects the fleet size & strength of that faction. 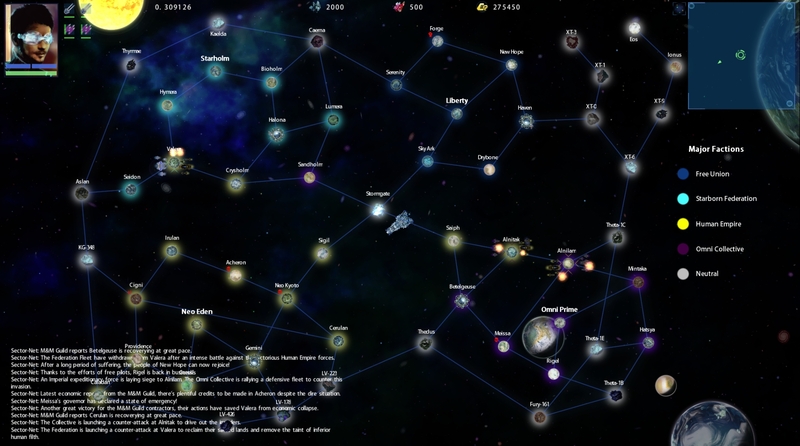 As such, player action or in-action ultimately affect the ability of the factions to wage wars and defend their systems. 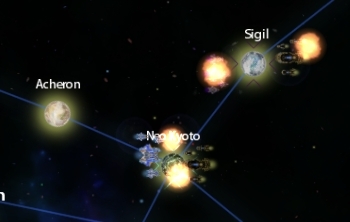 Actions small, such as that little trade run in which you made a profit, or big, such as taking on a faction fleet & destroying it, all have a direct consequence. The player could even plunder merchants & blockade a faction system to cripple it, thereby reducing the fleet strength of that faction causing them to lose the war. The faction conquest will unfold with or without your input. Just take care entering systems under siege, getting caught in the crossfire is a real risk! 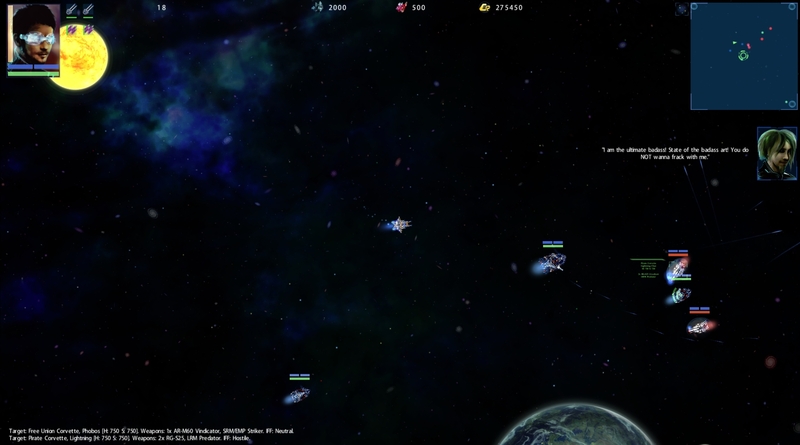 Explosions on the Star Map! A different game, the Human Empire gets to a great start! Besides this bigger-picture, the major dyamic element on a more personal level in SNII are random encounters. Everytime you jump in a system, there’s a chance to encounter something unique. For example, a smuggler who wants to offload illicit drugs for cheap, do you wish to buy some or go on your way? If you do buy some, you can make a major profit smuggling it to a nearby port, but you risk being caught. At the next encounter, you meet a broken down merchant who requests a tow to the nearby planet, promising on arrival to give you a nice payment. You accept and perform the task, maybe he rewards you, maybe he lied, or heck, maybe he’s a wanted criminal and now the authorities think you’re an accomplice. Some encounters have longer lasting consequences that may catch up with you when least expect it. The goal here is to keep the players on their toes and immersed. Trading UI, dynamic prices & inventory stock, all affected by your actions or inaction in response to the Global Events and AI Conquest. Some tradegoods available for you to make a profit as a merchant! 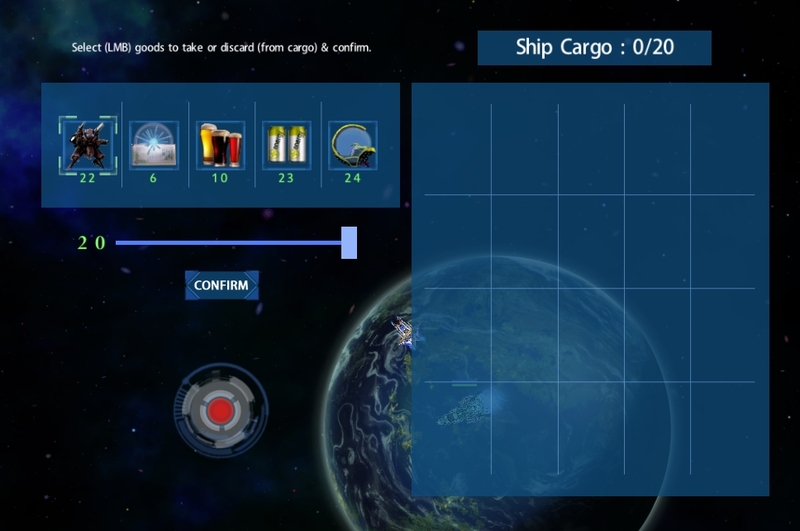 A very simple loot UI, with randomized loot tables based on ship faction & type. Potentially killing pirate smugglers will drop a lot of illicit drugs which in turn you can smuggle for a ton of profit! 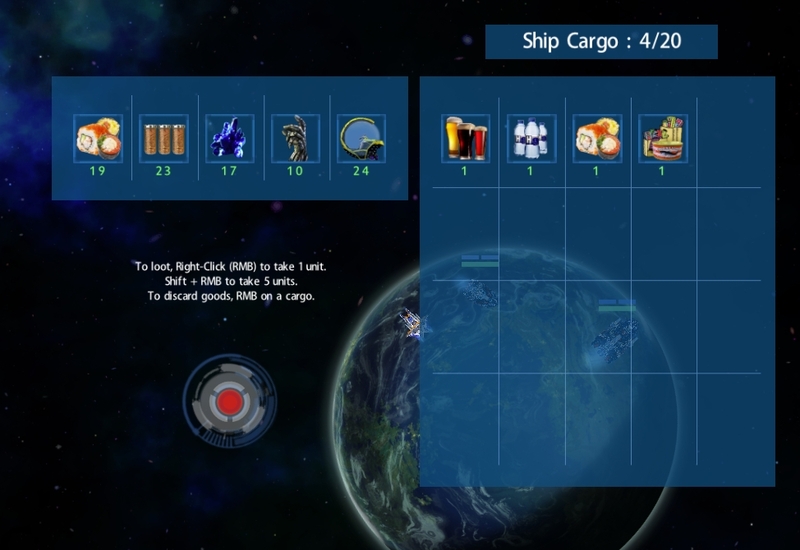 NPC ships carry all sorts of stuff for ye to plunder! Yarrr! Even better with a slider! If I want to weaken a union what should I do?The problem is if I kill some trader to do it,when I go back to ally system the traders will also be enemy on me,and if my fellows kill them that also counts,thus weaken my ally too! The Union is a neutral faction and they do not participate in the conquest so they always have an easier time to replenish their ships. However if you want to weaken them, you can also smuggle drugs to their colonies.